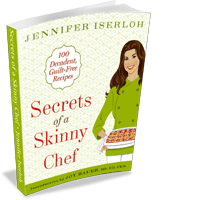 With Skinny Chef, Jennifer’s mission is to show families that healthy cooking can be fresh, fun and flavorful — including techniques from professional kitchens to empower people to take on a bigger role in their own health while enjoying life more. As a certified health coach, Jennifer provides ongoing support and guidance as you set goals and make sustainable changes. She will help you navigate the world of contradictory nutrition advice to determine what changes are necessary for you. Jennifer received her formal training from the Institute for Integrative Nutrition’s cutting-edge Health Coach Training Program, and is a nationally recognized healthy cooking expert. 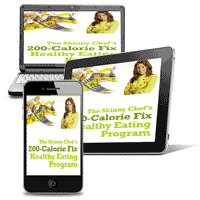 The 200-Calorie-Fix is a comprehensive program that lets you eat and lose weight, focusing on taste and deliciousness and real results without guilt or deprivation. 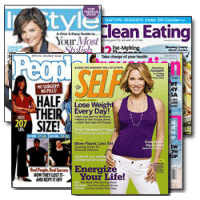 Unlike many diet programs, this healthy eating program is designed for you, letting you eat what you crave with a set of interchangeable, mix-and-match, 200-calorie options for breakfast, lunch, dinner, snacks and dessert. While celebrities can hire personal chefs and nutritionists to take the guesswork out of slimming down while eating real food, we regular folks don’t have that luxury. 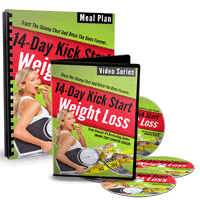 However, the 14-Day Kick Start Weight Loss Program is the affordable next best thing: by simply following this easy mealplan with delicious recipes, you will slim your body in just two weeks – while kick-starting a healthier lifestyle. 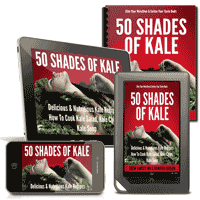 50 Shades Of Kale is a collaboration with Dr. Drew Ramsey — a colorful, delicious, and fun cookbook with 50 decadent recipes using Mother Nature’s top super food. Chock-full of meal plans and tips for optimal kale care and preparation, 50 SHADES OF KALE compellingly makes the case for why you need to include it in your culinary repertoire now. Whether you are vegan, gluten-free, or a knife carrying meat eater, we will turn you on to kale. In Secrets of a Skinny Chef (Rodale, 2010), I show how anyone can make simple, almost effortless changes in their lives that will end their struggles with yo-yoing weight and equip readers with the knowledge to make quick, easy-to-prepare, wholesome foods for themselves and their loved ones. In this collection of 100 recipes, America’s favorites get the “Skinny” treatment with scrumptious offerings such as Maple Apple Waffles for breakfast and 7-Minute Salmon and Scalloped Sweet Potatoes for dinner. Even for those who are dieting, desserts such as Tiramisu Parfait and Crustless Apple Pie stay on the menu. 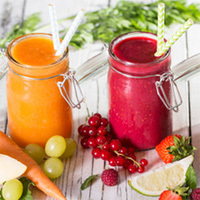 Throughout the past years, Jennifer has become one of the go-to recipe developers when it comes to creating healthful recipes that appeal to a broad range of culinary tastes. As a professional chef, it’s her mission to Make Healthy Foods Tastier, and Tasty Foods Healthier. Check out the scope of Jennifer’s recipe development work.